This book was written after the events of September 11th. The story is about the people of Gander, Newfoundland (Canada), who got 38 planes that were grounded when American airspace was closed. For a week the people of the small town fed, housed, and clothed 7000 people. There generosity quickly got national attention and became a story of hope and resilliance in the wake of hatred. This was a pretty good book. I have seen the musical "Come From Away" that is about many of the heros of Gander and how they came together as a town to help stranded people. There are 100s of stories of passengers who were given free clothes, medicine, groceries, shelter, and friendship when they couldn't get home. The people of Gander took a terrible situation and gave Americans some peace. 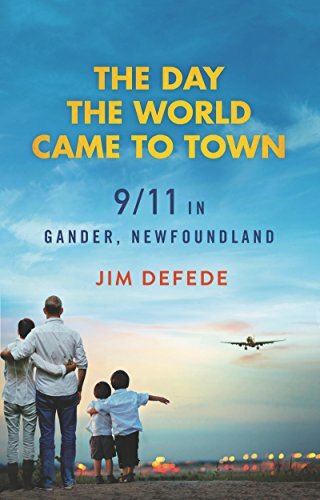 To this day - 17 years after 9/11, the people of Gander are remembered and visited by the passengers that were there that horrible week. The passengers have raised over 1 million dollars in scholarships for the Gander high schoolers and many have worked to give back what they could to a town that dropped everything for them. It is nice to see a story about people who are truly selfless. The people of Gander didn't think about what would be their "thanks" for taking in these people - they just did it because it was what they do. Their generosity prooves there is faith still to be had in people.